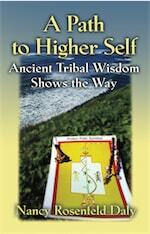 Navigate a tribal wisdom map to your powerful higher self. Embark on a fantastic journey through the Pollen Path, a Navajo wisdom map for explorers seeking a life fertile with growth and higher direction. With keen insight into anticipated human behavior at each stage, you are empowered to traverse the route to a more joyful, purposeful existence. Renowned for guiding complex change strategies for clients, Nancy was gifted the tribal wisdom map in 2003. The Pollen Path expands clarity and vision to navigate towards a more authentic and rewarding life path or apply to organizational transformations. Expect this map and Nancy’s illuminating overlay with human behavior to permeate into how you think about yourself, your capability, and your enlightened direction. A copy of the tribal map is revealed inside A Path to Higher Self. Are you ready to begin a journey that can change your life? Author of A Left-Brain Thinker On A Right-Brain Journey, Nancy Rosenfeld Daly, MBA, is an award-winning business strategist and acclaimed speaker. During a year-long journey to refresh in 2000, she was guided to transform thoughts and habits, breaking patterns and feeling utmost freedom and authenticity. Nancy shares her story and the instructive wisdom map teachings at international conferences, universities, and private retreats. Provocative story that breaks thinking patterns to empower life-changing decisions. Discover unique definitions of JOY to apply ALL the time! Nancy Rosenfeld Daly is an acclaimed speaker and leadership consultant who combines analytical skill, tribal wisdom, and neuroscience to formulate paths to highest potential. During a year-long journey in 2000, she was guided to transform thoughts and break patterns, feeling utmost freedom. 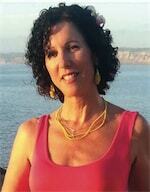 Nancy speaks at international conferences and private retreats.